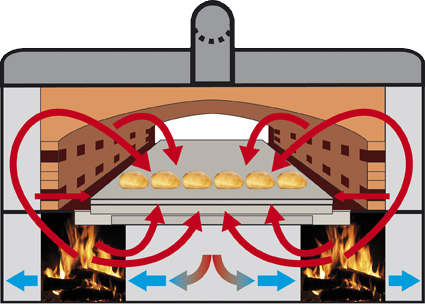 The CLM BAKERY SYSTEM Vesuvio tunnel oven for bread is also available in the wood-fired version. CLM Bakery System has created the biggest wood-fired oven in the world, 75 m2. to produce a premium quality product rediscovering traditional flavours and at the same time having a very high level of efficiency as requested by industrial quantity production. Respect for tradition. 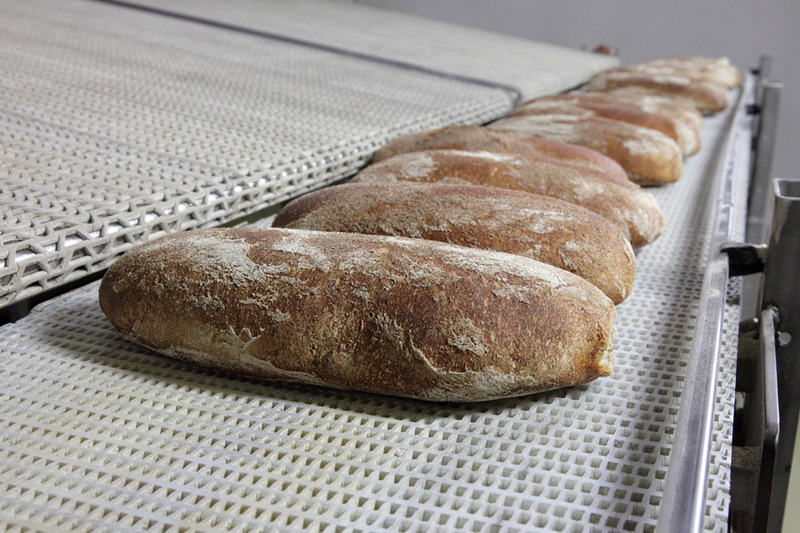 The modern technology of CLM BAKERY SYSTEM Vesuvio now offers all the advantages of traditional wood baking with a direct flame, allowing the best handmade quality to be achieved in industrial bread production. The CLM BAKERY SYSTEM Vesuvio tunnel oven for bread will allow modern consumers to discover the ancient flavour of traditional bread baked in a wood-fired oven, enhancing the quality, taste, fragrance and authenticity. A more effective marketing tool. Food marketing in recent years has focused greatly on making the most of tradition. Since the CLM BAKERY SYSTEM Vesuvio industrial tunnel oven is wood fired and thanks to the smokes that hit and embrace the products, it allows the aromas and fragrances found only in few artisan bakeries to be rediscovered. More environmentally friendly production. Wood is one of the top sources of renewable energy, and is one of the most ecological fuels. 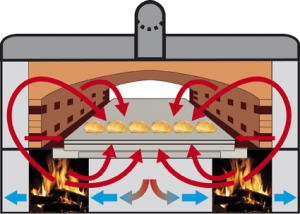 Wood-fired tunnel ovens are environmentally friendly and make it possible to combine industrial production with more sustainable growth and a “greener” image. Increased automation for greater efficiency. 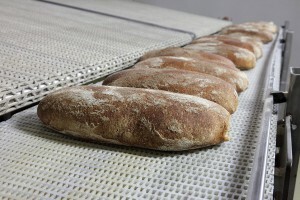 The handling of the CLM BAKERY SYSTEM Vesuvio tunnel oven for bread is completely automatic. Vesuvio is designed and built so that the operator only needs to deal with loading the wood store few times a day and the quick and easy removal of the ash after baking. High energy efficiency thanks to excellent insulation. For more detail on these aspects, please see the page on industrial gas ovens for bread. CLM BAKERY SYSTEM Vesuvio: The best materials, customised construction for your requirements, the most advanced technology for rediscovery of tradition as part of more effective industrial production, but still with an emphasis on the quality that CLM BAKERY SYSTEM has always offered. Contact us now for more information.